On Wednesday, March 1st members of the Boys and Girls Basketball teams were honored at the 2017 Basketball Awards Ceremony. Junior Lady Knights Basketball Player Shealyn Prouflias and Junior Boys Basketball Player Terry Riley earned Most Valuable Player honors while sophomore Addie Smith won the Coach’s Award for the Lady Knights. Senior Travis Nunnally earned the Coach’s Award honors for the boy’s team. Prouflias (#11) earned the honors for the Lady Knights for the second consecutive year after leading the team in total points (295), 3 point field goals (19), 2 point field goals (87) and free throws made (64). 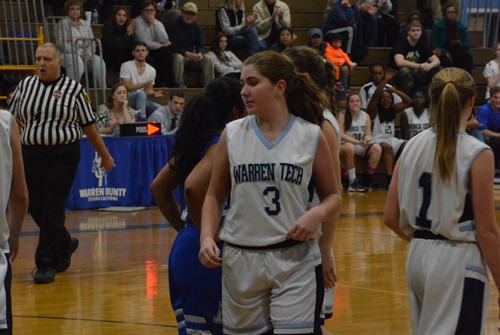 "Shealyn is a very talented basketball player," said Knights JV Basketball Coach Jeff Tierney. "However, it's the effort that she displays day in and day that is her best contribution to the team. Shea works hard and is a great team player." 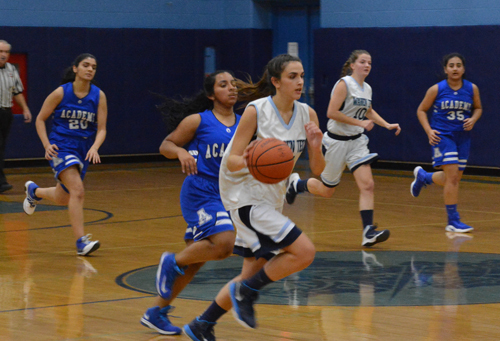 Addie Smith, (#3) a sophomore totaled 116 points. “Addie sets a great example for her teammates to follow,” said Tierney. “Her enthusiasm towards the team and the game of basketball is unparalleled. Addie always does what is asked of her and puts the team first." 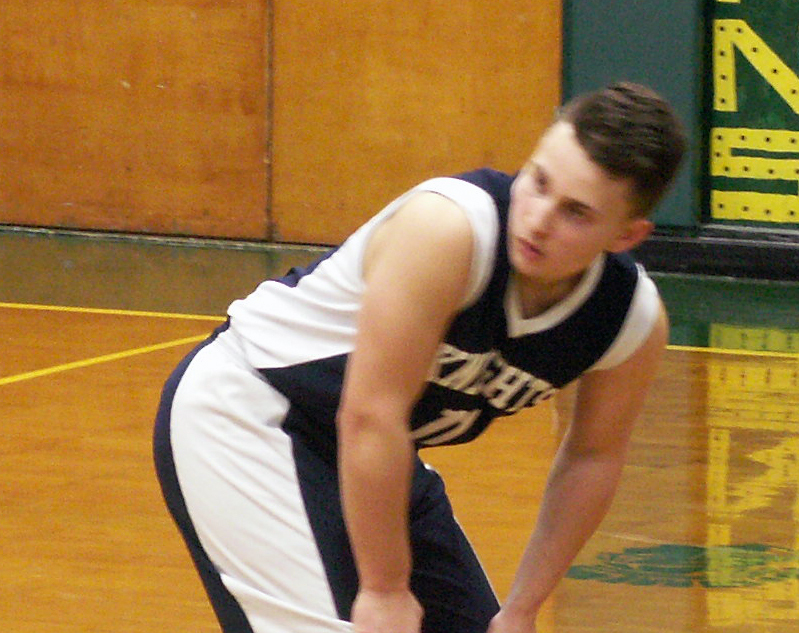 Junior Terry Reilly (#25) earned the Most Valuable Player honors for Knights Boys Basketball Team. Senior Travis Nunnally earned the Coach's Award for the Knights Boys Basketball Team.